but only communications can make you a commander." Lewis County Roundtable. 8:00 every evening on the club repeater 146.955. All operators encouraged to check in. Echolink checkins welcome. This is an informal net. If no one picks up net control -- you do it! Net preamble and format available here.. If the repeater is down, try 146.955 simplex. Meetings: No regular meeting schedule at this time. See event list below for meeting date(s) and time(s). Saturday June 10 Communications for the Black Fly Challenge mountain bike race Indian Lake to Inlet through the Moose River Plains. Contact Dennis N2LBT (try Old Forge repeater) for details. Sunday July 23 Utica ARC Hamfest @ Deerfield FD. Please contact WD2ADX in if you can help. Saturday September 9 17-21 Group at Kring Point State Park. Special event station K2P.Look for K2P on 7272 or the AC2GE (Dexter) or WA2NAN (Fine) repeaters. See nnyara.net for repeater information. Weekend October 21-22 Jamboree On The Air If you are interested in getting your scouts onthe air, please contact KC2WI. ARES Simulated Emergency Test. See nnyara.net for details or contact NNY Section Emergency Cooordinator KC2WI. Saturday October 21 New York QSO Party 10 AM ~10 PM. Contact KC2WI if interested. Wednesday November 1 OPEN HOUSE and club meeting. 5~8 PM @ 3G Fire Department Glenfield. Anyone interested in Amateur Radio is encouraged to attend. Grab a free hot dog and soda and find out more about what's going on with Amateur Radio in the area. November 2~6 Joint MARS-Amateur COMEX 17-4. All hams encouraged to participate. Please contact NNY SEC KC2WI for more information. Boonville Amateur Radio Club & Black River Valley ARC Holiday Dinner. 6:30 social, 7:00 dinner. Boondocks Restaurant Lyons Falls. Order off menu. Please let Dan N2OYQ know by Dec. 9 if you plan to attend. Everyone is welcome. You do not need to be a licensed ham or a club member. friends, and community, consider getting your Amateur Radio license this year. Please contact any club member if you are interested. We are here to help. If you join ARRL or renew your membership, please do so through the club. The club receives a commission on new ARRL memberships and renewals. Complete this form and send it to club treasurer KC2WI (PO Box 161,Glenfield 13343) with your check made out to the Black River Valley Amateur Radio Club. The repeater is EchoLink enabled. Connect to AB2XN-R, or node number 427886. EchoLink is typically up weekday afternoons between approximately 1600 and 2200 local. Thanks to Dave AB2XN for maintaining the computer with EchoStation software and Frank KC2MRL for the link radio. 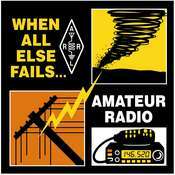 Links to more ham radio information.